Good news for Docker fans: we’re running a third Docker Monitoring webinar on Tuesday, October 6 at 2:00 pm Eastern Time / 11:00 am Pacific Time. If you use Docker you know that these deployments can be very dynamic, not to mention all the ways there are to monitor Docker containers, collect logs from them, etc. etc. And if you didn’t know these things, well, you’ve come to the right place! 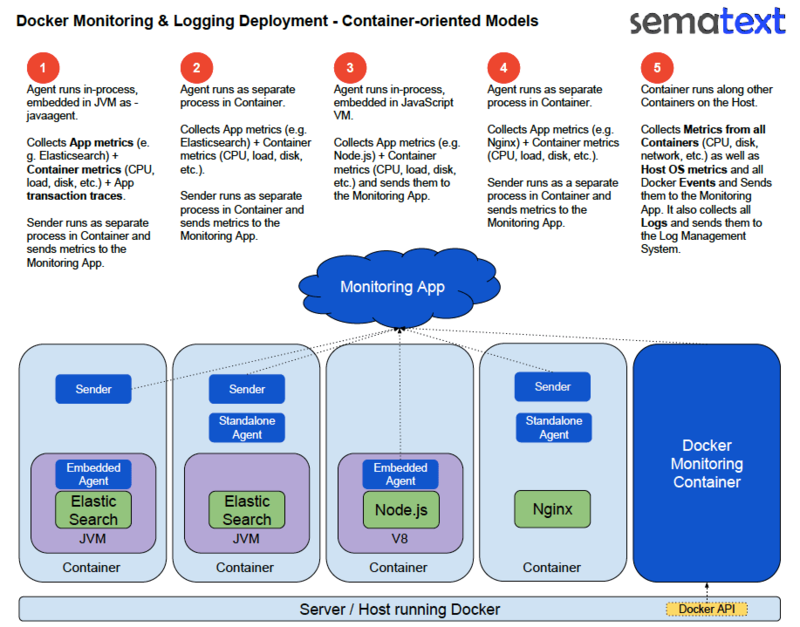 Sematext has been on the forefront of Docker monitoring, along with Docker event collection, charting, and correlation. The same goes for CoreOS monitoring and CoreOS centralized log management. So it’s only natural that we’d like to share our experiences and how-to knowledge with the growing Docker and container community. During the webinar we’ll go through a number of different Docker monitoring options, point out their pros and cons, and offer solutions for Docker monitoring. The webinar will be presented by Stefan Thies, our DevOps Evangelist, deeply involved in Sematext’s activities around monitoring and logging in Docker and CoreOS. A post-webinar Q&A will take place — in addition to the encouraged attendee interaction during the webinar. Tuesday, October 6 @ 2:00 pm to 3:00 pm Eastern Time / 11:00 am to 12:00 pm Pacific Time. The infographic below will give you a good idea of what Stefan will be showing and discussing in the webinar. Got Questions, or topics you’d like Stefan to address? Leave a comment, ping @sematext or send us an email — we’ll all ears. Whether you’re using Docker or not, we hope you join us for the webinar. Docker is hot — let us help you take advantage of it! Poll: How do you ship your Logs?